This is the first book in Trollope’s Chronicles of Barsetshire series. I’d heard in advance that it’s not always the best place to start with the series, but my type A personality insisted I read them in the correct order. It is a slow novel, one where very little action happens and I struggled to get into the first section. But at some point things clicked into place for me. I started to see past the surface plot of a financial debate dealing with the care of a local hospital, and I began to see the characters’ inner struggles. Septimus Harding is the Warden, a title he earned by running Hiram's Hospital, a charity house. His daughter’s beau, John Bold, starts to question how the charity is run and draws up a case against the Warden. Harding has two daughters, Susan, who is already married, and Eleanor, who lives with him and who is being courted by John Bold. Bold’s decision to challenge Harding’s income puts an uncomfortable wrench in his plan to marry Eleanor. Once you get past the initial slow start, the book provides an interesting look at the motives behind actions. Bond sees his purpose as noble and right even though he’s hurting the people he loves. It makes the reader question his decision, is it truly motivated by his beliefs or by his pride? Both Bond and Harding have difficult decisions to make and they are being encouraged by their friends to do very specific things. The local newspaper is also playing a part in aggravating the situation. In the end, does it matter why you make a decision if it is the right one? Or is it more important to stick to your original mission despite the effect it will have on others? In some ways this novel reminded me of Gilead. Both books have a quiet nature and focus on the decisions of elderly men. Both also have a younger man who is struggling with a decision. Both have religious overtones that dictate the path of the main characters. It was an interesting parallel since the two books are set in such different time periods and locations. BOTTOM LINE: An interesting read that took a bit to get into. I’ve heard the next book in the series is better and so I’m excited to read that one. I enjoyed watching Trollope peel away the layers of this issue until the moral core was revealed. I’m looking forward to seeing how he does that in the other Chronicles of Barsetshire novels. Our Chronicles of Barchester Readalong marches on to the second book this month. Amanda at Fig and Thistle and I are starting Barchester Towers next and will be sharing our thoughts on that one at the end of April! 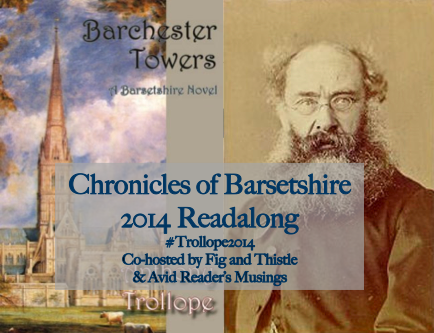 “Barchester Towers is Trollope's most popular book. In this novel Trollope continues the story of Mr. Harding and his daughter Eleanor, adding to his cast of characters that oily symbol of progress Mr. Slope, the hen-pecked Dr. Proudie, and the amiable and breezy Stanhope family. The central questions of this moral comedy - Who will be warden? Who will be dean? Who will marry Eleanor? - are skillfully handled with that subtlety of ironic observation that has won Trollope such a wide and appreciative readership." This review assumes you’ve read the first 5 books in the series. 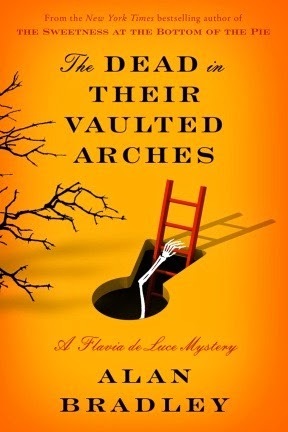 The sixth book the Flavia de Luce series picks up right where the fifth book’s cliffhanger left off. Instead of once again following the new murder in a small town formula, this book breaks from tradition and reveals many of the answers that fans of the series have been waiting for. The payoff is everything I hoped it would be. Harriet de Luce, who was killed in a climbing accident in the Himalayas a decade earlier, has finally been found and is being returned home. Honestly, the lack of focus on a regular murder didn’t bother me at all. I didn’t even miss that element. I loved seeing our heroine and her sisters attempt to cope with a grief they’ve never quite been able to verbalize. Feelings of abandonment and lack of closure tumble together and each of the members of the de Luce clan struggle to come to terms with these things in their own ways. I’ve seen reviews where people say they hope the next book will return to the tired formula of the first five installments, but I hope it will not. Flavia is growing up and beginning a new chapter in her life. As much as I love her character, seeing that growth is much more rewarding than watching a character grow stale with repetition. BOTTOM LINE: For me, this book rose above the rest of the series. It delved into the heart of the story it had been dancing around for so long. Harriet’s past and Flavia’s relationships with her father and siblings were what kept bringing me back to this series, not the victim of the week mysteries. This book was the rich reward for sticking with the characters. 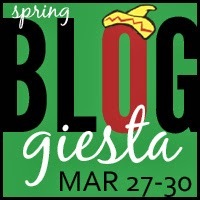 I've never participated in Bloggiesta. I know, I'm a bad blogger. I've always meant to, but it just hasn't happened. If you haven't heard of it before, it's just a few days where tons of bloggers make a commitment to tackle a few of those blog maintenance tasks that seems to pile up. You can find more details here. I keep a running list of things I need to do on the blog, but there are always a couple things that I never seem to get around to. This year I'm joining in and below is my list of tasks I'm hoping to complete. 1) Work on my REVIEWS page. I have a page where I was planning on listing all my reviews in alphabetical order of the authors' last names. But every time I think about starting I realize I have about 1,000 reviews to add to the page and I decide to do it another time. I'm going to get as many added in as I possibly can. **UPDATE** I've now got all of my 2013 reviews posted! Only 3 more years to go! 2) Make texts with links show up as a different color. When I recently had my blog redesigned I realized that links no longer showed up as a different color on my blog. I have been trying to figure out how to fix this, but no luck so far. 3) Increase margins around photos. Another change that happened with the blog design that I can't figure out how to fix. 4) Write at least 4 blog posts and schedule them. Any tips on how to make these changes would definitely be appreciated! This week's Top Ten from The Broke and the Bookish asks for the Top Ten Things On My Bookish Bucket List. Most of mine are about visiting literary landmarks because that combines travel and reading, my two favorites. 6) Visit Jane’s Austen’s grave in Winchester, England. Here’s a list of 10 of my favorite bookish things I’ve done! I quickly realized that I’d read all four of these stories before. They are all included in King’s “Everything’s Eventual” collection. 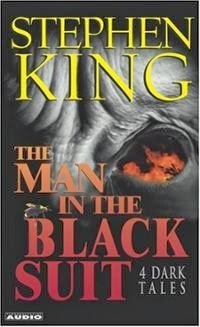 Though it had been 10 years since I read that, I remembered almost every detail of the title story. An old man recounts meeting the Devil while fishing as a young boy. The audio version was fantastic and brought the creepy characters to life beautifully. For me, the weakest story of the four is “All That You Love Will Be Carried Away.” The piece is about a traveling salesman who is contemplating suicide. He also has a strange habit of collecting graffiti in a notebook. “The Death of Jack Hamilton” is about John Dillinger’s gang. One of the members tells us the stories about the days leading up to Dillinger’s dramatic death and the unexpectedly loss of their friend. “That Feeling, You Can Only Say What It Is In French” offers readers a trippy case of Deja Vu with an ominous tone. After 25 years of marriage a couple decides to take a second honeymoon. The story gives us a glimpse of their ill-fated vacation. BOTTOM LINE: Great collection, though I wish I’d known this was a republication of selections from another collection of short stories. 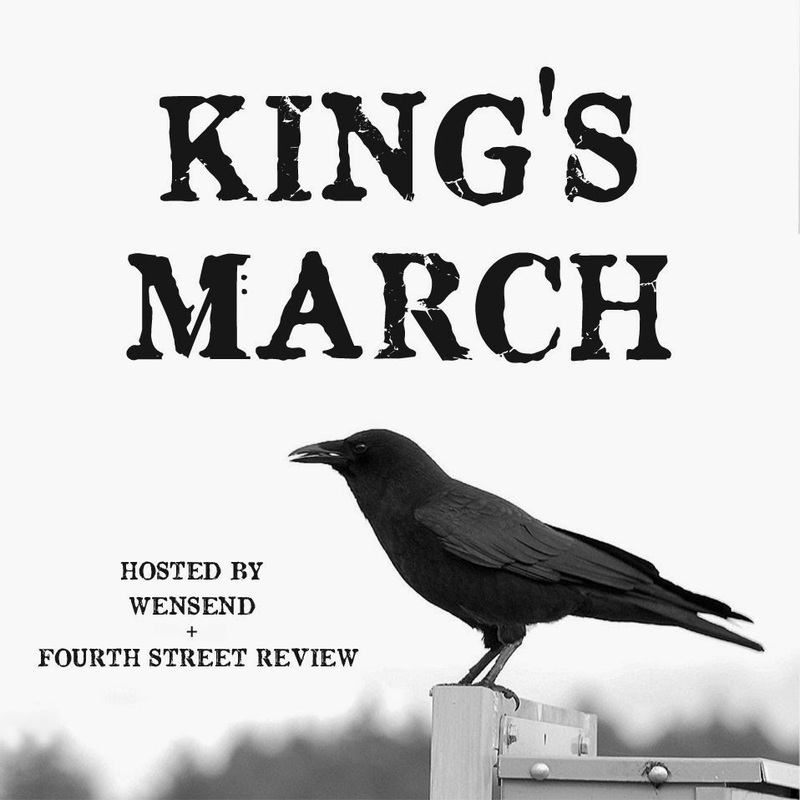 I read and reviewed this one to join in the King's March event hosted by Fourth Street Review. In January I had the chance to visit the Lilly Library in Bloomington, Indiana. Oh my goodness that places is a bibliophile's dream! I toured the building and checked out the current exhibit on Ross Lockridge, Jr. (the author of Raintree County). I liked the space and was glad I visited but wasn't impressed. Then as I was making my way back to the entrance a staff member asked if I wanted to see some of the collections. They took me through a locked door and proceeded to bringing out a dazzling collection of literary gems. I was completely blown away! The librarians brought out one items at a time and I was given gloves to wear before I could touch some of them. I was like a kid in a candy shop. The absolute highlight for me was a 1623 First Folio edition of Shakespeare's complete works (see above). Not only did I get to see it, I got to turn every single page and read my favorite passages from Twelfth Night, The Tempest, Hamlet and Much Ado About Nothing. It was heaven! I had no time limit so I just sat there slowly reading through some of my favorite pieces of literartue in an edition published only seven years after the author's death. Anyway, if you are going to be in Indiana for any reason I would highly recommend making a sidetrip to Bloomington for this incredible library! Photos by moi (except the one I'm in). I’m having a hard time explaining how I feel about this one. It’s been a long time since a book so completely enraptured me and then utterly broke my heart. For starters, it is so beautifully written and it’s a tribute to the writer’s skill (I still can’t believe this is the author’s first novel), that I became so attached to the characters, especially the dogs. I’ve always been an animal lover and I have a really hard time with anything bad happening to animals in books, (Where the Red Fern Grows, The Yearling.) I’m particularly sensitive to cruelty to dogs and horses for some reason and so there were a few parts that were hard for me to read. Don’t get me wrong, this isn’t a book about cruelty towards animals, but the dogs are main characters in the book and there are some tough scenes. I’ve never read a book that expressed the psychology of a dog in such a vivid way. Edgar is born mute to devoted parents who own a unique dog breeding and training company in Wisconsin. From the earliest chapters, where we meet Edgar’s parents Trudy and Gar, the story hooked me completely. It’s a slow moving novel, one that you sink into and hardly notice when 100 pages have past. The story is a loose retelling of Hamlet. The local vet, Doctor Papineau is Polonius, his son is the county sheriff and fills the role of Laertes. Edgar’s loyal dog, Almondine, is a twist on Ophelia. 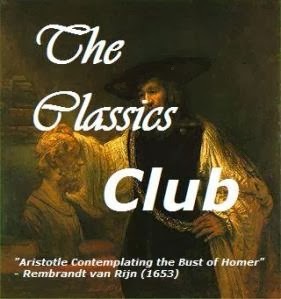 Now keep in mind that it’s not an exact retelling and so not all of the characters share the fates of their Hamlet counterparts, but knowing the general story in advance certainly cloaks the entire novel in a layer of portentousness. 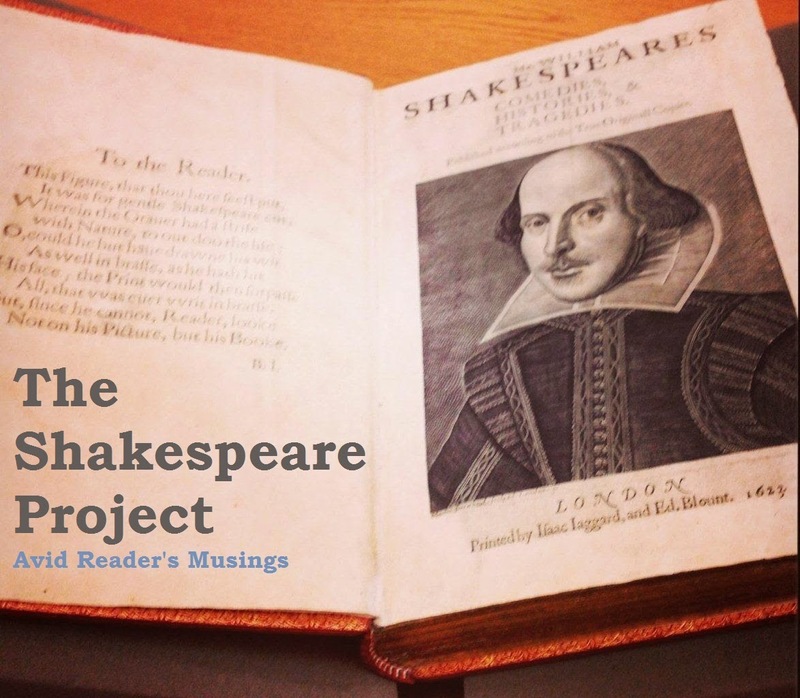 The moments where the story was the most closely aligned with Shakespeare’s original tale were actually the sections that I thought didn’t work as well as the rest of the book. 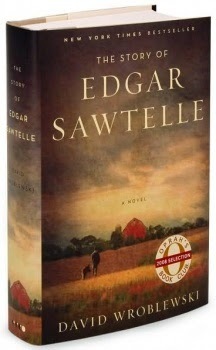 Maybe because it took the mystery out of it or maybe because it’s such a strong story in its own right, that adding a supernatural element and relying heavily on the revenge tale took away from the powerful characters Wroblewski created in the Sawtelle family. It’s strange, the book could absolutely have 200 pages cut from its bulk to move the story along at a faster clip, but at the same time, the quiet moments where very little happened were some of my favorites. When Edgar is with his dogs, training or spending time with them, that’s when I felt the most connected to him as a character. When the plot was rolling forward with its tone of impending doom, headed inevitably towards the Hamlet conclusion, those were my least favorite parts. They felt a bit more forced, like they were violating the actions we had grown to expect from certain characters. BOTTOM LINE: I couldn’t put it down, even when I was worried about a character or heartbroken over a scene, I still didn’t want to let it go. I almost felt tense while reading certain sections, but then I would relax into the comfortable comradery Edgar had with the dogs. It’s one of the most unique reading experiences I’ve had in a long time and I know I’ll be thinking about Edgar, Almondine, Tinder, Essay and Baboo for a long time. The only reason it didn’t get 5 stars is because I can’t imagine putting myself through reading it again. Crash Course just did a post on Hamlet. If you aren’t already subscribed to their literature posts, you should be! This week's Top Ten from The Broke and the Bookish asks for the Top Ten Books on My Spring 2014 TBR List. I’ve got an interesting collection of books that I need to read for my book club, challenges, trip planning and a few just because books. 10) New Zealand and Australia travel guides! Have you read any of these? Which one should I start with? 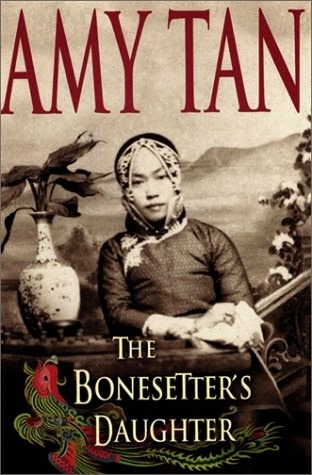 Amy Tan’s specialty is novels that deal with mother/daughter relationships with a cultural divide thrown in. Her books tend to focus on women born in America who struggle to relate to their Chinese mothers. The strain between the family members, exacerbated by being raised in very different cultures, makes for interesting plots though they can occasionally feel repetitive. The Bonesetter’s Daughter is set in San Francisco and follows Ruth and her boyfriend Art through their relationship with flashbacks to Ruth’s childhood. Ruth’s relationship with her mother LuLing is the main focus. LuLing is beginning to show signs of dementia and as Ruth struggles to come to come to terms with this she begins to learn more about her mother’s life before America. Midway through the book we hear Ruth’s mother’s story in her own voice. It’s a drastic shift in tone, but one that works well. The reader, as well as Ruth herself, need to understand LuLing’s background in order to understand why she acts the way she does. I loved how the book dealt with the balance of regret and love that exists in most relationships. It explores the way our scars from childhood shape the people we become. Yet even as we see our past pain affect our decisions it helps to understand the history of the people you love. With understanding comes forgiveness, an essential element in improving any relationship. BOTTOM LINE: A good story and a great reminder that our parents were people long before we were around. They made mistakes, they’ve been hurt and that hurt often has lasting effects that echo through their relationships with their children. Pair with a marathon of mother/daughter movies where the main characters don’t see eye-to-eye. Start with Brave and move on to Steel Magnolias, then watch Amy Tan’s own Joy Luck Club. Get in a few laughs with Freaky Friday before watching The Divine Secrets of the Ya-Ya Sisterhood and finishing with Terms of Endearment. 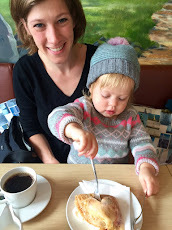 One thing I rarely talk about on this blog is my rating system. It’s used in almost every post and I thought it might be time to shed a little more light on it. I think it’s important to remember that I’m rating the book on my personal experience with it. This doesn’t mean I’m telling you it has no literary merit or that a “fluff” book should be the new Pulitzer Prize winner. I’m simply quantifying my experience with the book for future reference. Because of this, my reading experience might have been affected by my mood, or how busy I was at work, etc. I try not to let that shift the rating too much, but really it’s unavoidable. Plus, I’m reviewing the books for myself more than anyone else, so that’s who I’m rating them for too. The reason there aren’t an increasingly growing number of 5 star books is because I rarely ever give a book 5 stars. I have to not only love the book, I have to know for a fact that I want to reread it. When I finished I Capture the Castle I knew I would read it again. The same was true for The Book Thief and The Night Circus. My 5 star rating is reserved for those few books that make me fall in love with them. For example, I really enjoyed This is Where I Leave You, but I probably won’t ever read it again. So it got a 4 star rating, not a 5. I’ve thought about getting rid of ratings all together since it’s such an arbitrary thing, but it’s the first thing I look at in other people’s reviews. It also is a good reminder to me of my original reaction to the book. That can change with time, but the rating still stands in my head as my initial honest reaction. How about you guys, do you rate your reads? Did you know the word vicar comes from the word vicarious? Or that the reverend who wrote the hymn “Onward Christian Soldier” also wrote the first novel featuring a werewolf? What about the phrase room and board, any idea where that came from? After reading At Home you’ll brain will be packed full of trivia about houses and everything connected to them. Bill Bryson has an incredible skill for taking the most random and mundane topics and making them enthralling. This is technically a “history of private lives” but that covers a lot of ground. From the bathroom to the living room, we make our way through modern rooms learning why salt and pepper are the most common spices and that women had a really hard time getting care from doctors in the past. Also, make sure your wallpaper isn’t colored by arsenic! This book covers so much more than the “home.” It explores how humanity has changed over the centuries, adjusting our domiciles as we change our habits. It shows how we use those homes to interact with the world and to retreat from it. 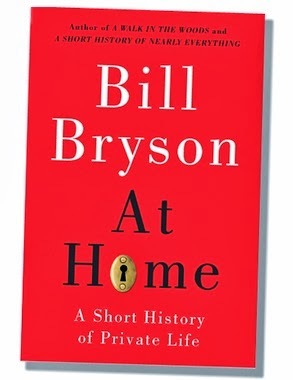 Bryson goes on to details the world of furniture and meals and social interactions in a way that is surprisingly engrossing. I honestly wondered how he could get a whole book out of life “at home” but he delves into the details of our endless search for comfort with such infectious enthusiasm. I found myself laughing out loud as I listened to it. I would definitely suggest getting your hands on the audiobook, which he reads himself. His dry sense of humor is best translated when you hear it from his own lips. BOTTOM LINE: One of my favorite Bryson books! I felt like I learned so much and just when a topic started to get the tiniest bit tired he moved on to the next subject. If you’re a fan of nonfiction with a touch of humor and sarcasm (think Mary Roach or Sarah Vowell) I would highly recommend. Holocaust Museum in Washington D.C. 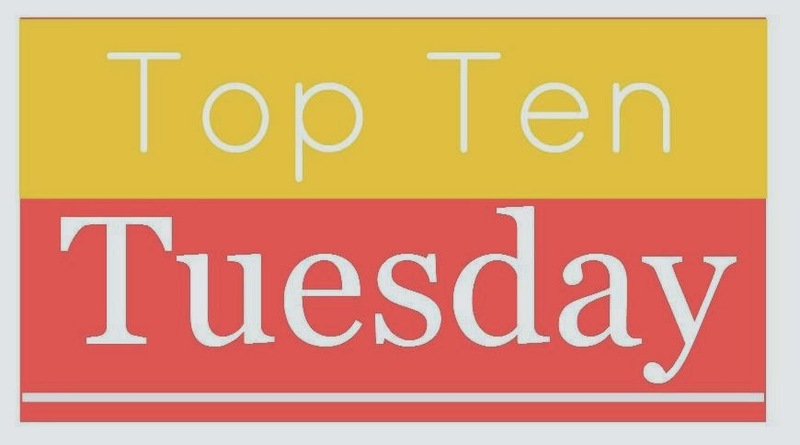 This week's Top Ten from The Broke and the Bookish asks for our Top Ten All Time Favorite Books in Specific Genre. I tend to highlight classic books or nonfiction books all the time and YA books get plenty of attention, so I took a different route. I'm listing ten of my absolute favorite children's books. I don't have kids so this is a category I rarely talk about, but there are dozens of kids books that I have hung on to from my childhood. I love to read them with my nieces and nephews and if I have kids one day I know I'll love introducing them to my favorites. I decided to pick a few of my favorites that aren't as well known. Obviously Charlotte's Web, Winnie-the-Pooh, everything by Roald Dahl, Madeline and the Berenstain Bear Books would all be at the top of the list, but those are books that people already know about. Here's a list of some of my lesser-known favorites. Didion’s famous collection of nonfiction essays gives readers a glimpse into the rapidly changing world of California in the 1960s. From hippies in San Francisco to a piece on Joan Baez and her Institute for the Study of Nonviolence, Didion traces the paths of a new generation of Americans across the state. Her prose takes your breath away with it’s descriptive beauty. Regardless of the subject matter, it's so easy to get lost in her words. She tells each person's story without condemning or praising their belief system. "She does try, perhaps unconsciously, to hang on to the innocence and turbulence and capacity for wonder, however ersatz or shallow, of her own or of anyone's adolescence." I felt like the essays on Didion's personal life and experiences were a little stronger than the rest. There was also a story that opens the book, "Some Dreamers of the Golden Dream," that really stayed with me. It's about a woman convicted on murdering her husband in a burning car. It was a haunting tale, as so many things are in Didion's hands. Even a trip to the tropical isles of Hawaii becomes a morose reflection for her. "Las Vegas is the most extreme and allegorical of American settlements, bizarre and beautiful in its venality and in its devotion to immediate gratification." One of my favorite pieces in the book is about how we change when we return to our childhood homes. Our personalities revert back to the roles we took on within our family dynamic. Our spouses often can’t understand the strained relationships or odd attachments that we have with the place and the people there. 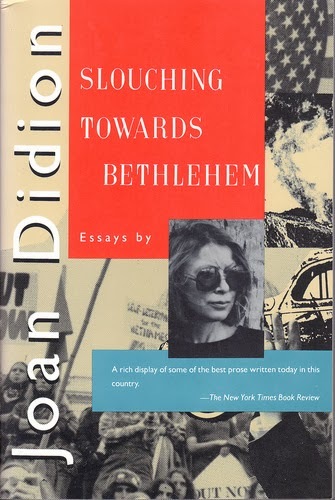 BOTTOM LINE: As with most short story collections, not every single piece was my favorite, but with a writer like Didion you’re sure to find some gems. Didion conveys moods and feelings with such incredible talent and this collection is one of her best. "Innocence ends when one is stripped of the delusion that one likes oneself." 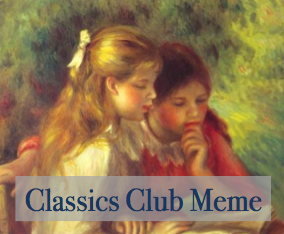 Here’s the question for Classics Club members this month: What is your favorite “classic” literary period and why? I am a sucker for Victorian England. The Victorian era is usually defined as the lifespan of Queen Victoria, who reigned from 1837-1901. Books published during these particular years and authors who lived during this time usually fall in the Victorian category. Coming-of-age stories, mysteries, romance, tragedy, there are some wonderful tales told during this time. I’ve found dozens of classics that I love from that time period. I don’t know what it was about that time that led authors to write so many rich stories, but here’s a list of a few of my favorites. This book is lauded as one of the greatest of the 20th Century. It’s been on my TBR shelf for years and now that I’ve finally read it I feel like I’m still in the dark. The plot, and I use that term loosely, follows the Buendía clan. Patriarch José Arcadio Buendía founds the fictional town of Macondo. Beginning with his life, the book chronicles seven generations in the family’s history. There are so many overlapping names within the family tree that things can seem a bit muddled at times. Up and down and in and out of the characters’ lives, we see romances blossom, an insomnia plague, military occupation and more. The Buendía family is a pretty incestuous bunch. One man marries his adopted sister, another has an affair with his aunt, another marries his first cousin, etc. There is a serious focus on beauty, lust and how it almost inevitably leads to destruction or unhappiness. From the very first generations, the Buendía chose immediate infatuation over long term consequences. As many others have said before me, the writing really is beautiful. Márquez can paints a lovely picture, but I always felt like I was just outside of the room where the action was happening if that makes sense. I never felt connected to the story in any real way. I know magical realism isn’t for everyone, but I’m not sure if that was the issue or if it was just the lack of a clear storyline. I feel like I had an open mind and no specific expectations going into the book, but it was still hard for me to feel compelled by the characters. The aspect of the book that was actually the most interesting to me was its inspiration. Márquez said he decided to write the novel after his Grandmother told him stories about her childhood that wove unbelievable supernatural elements into her everyday life. He said she told the stories as though there was nothing magical in them and so he never doubted them. He wanted to create a world within his novel where the same was true. 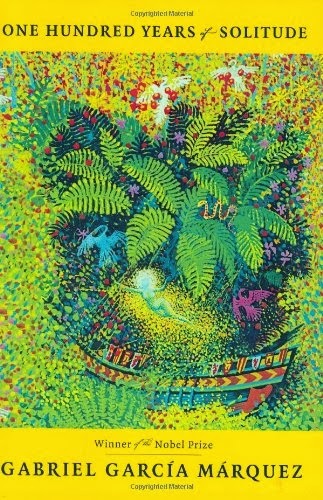 BOTTOM LINE: Confusing and strange, One Hundred Years of Solitude is a classic but it's not for everyone. I'm glad I read it and I think I understand magical realism a bit more. I may try to re-read it in the future and see if the style clicks for me. 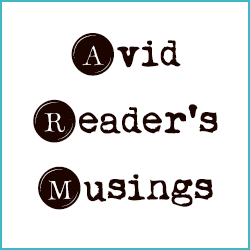 The Broke and the Bookish asked for the Top Ten Popular Authors I've Never Read. I broke it up into five authors I want to read and can’t believe I’ve never gotten to and five that I’m fine if I don’t ever read them. Today our Chronicles of Barsetshire Readalong officiall begins (well technically yesterday)! 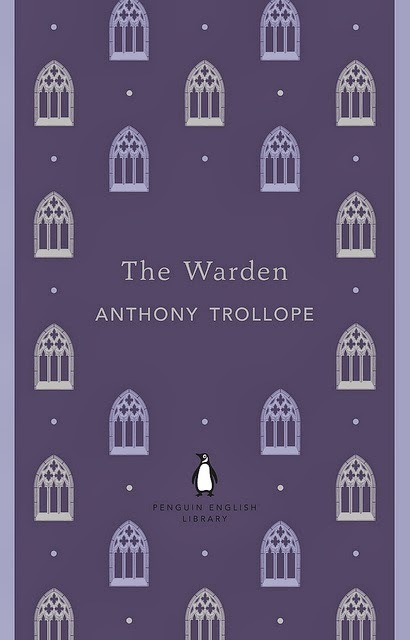 We start with The Warden, a slim novel that clocks in at only 176 pages. Amanda at Fig and Thistle is co-hosting with me, so make sure to stop by her blog as well! "An 1855 tale of English ecclesiastical life, this work from the author's Barsetshire series relates the humor and pathos that ensue when a kindly clergyman becomes the subject of a scandalous tabloid treatment charging him with financial impropriety. Features a cast of amusingly realistic and memorable characters, naturalistic dialogue, and consummate plotting." We'll be posting a start post at the beginning of the month for each book and a wrap up post at the end of the month. Along the way we'll be tweeting our thoughts at #Trollope2014.